Keep your Austin lawn protected year-round from dandelions, thistles, ragweed, and other fall weeds with Magic Pest and Lawn’s broadleaf weed control services! Magic Pest and Lawn’s fall weed control experts will wipe out fall weeds to prevent weeds from emerging during the warmer months. Our local Austin lawn care experts help control autumn weeds with specialized, innovative, and affordable low-toxicity weed sprays, pre-emergent weed killer treatments, and customized broadleaf weed control plans to make sure your lawn stays lush and free of dandelions, thistles, clover, ragweed, and anything else you didn’t plant on purpose! 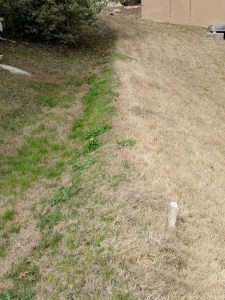 Southern lawns, especially in Texas, don’t often face the sub-zero temperatures and climate conditions necessary to kill off and prevent any chances of weed growth. In fact, fall and winter weed control is just as important for your lawn care regimen as spring and summer weed control, however, late fall is one of the most commonly neglected seasons for weed treatment. Getting a jump-start with pre-emergent fall weed control and additional broadleaf weed management solutions is imperative because Austin and the surrounding Texas areas have unique climate conditions that allow for the growth of fall and winter weeds, also known as broadleaf weeds, which reproduce or germinate during the late fall and early winter, creating a mess of weeds that lie dormant around your Austin property. This provides quite an unwanted surprise when spring comes around, and your lawn becomes filled with dandelions, ragweed, thistles, clover, bluegrass, and other invasive weeds. Dandelions are one of the most common types of weeds, and some of the most difficult to prevent and treat. Winter and fall are great times for pre-emergent herbicides to prevent dandelions from taking over your lawn in the warmer months. It is best to begin dandelion control before the yellow flowers turn to seed and spread like wildfire across your lawn. Common chickweed is a resilient winter and fall annual weed that can even grow in below-freezing temperatures. Often found under shaded areas on the sides of your home or under trees, it’s important to prevent and treat chickweed (and its similar cousin, henbit) in the early stages of growth in the late winter/early spring while the plants are young. we perform chickweed control by digging it out or using our low-toxicity weed killer treatments. The longer you wait for chickweed control, the more resilient these weeds become, making them increasingly tougher to kill. Magic Pest and Lawn’s highly-trained fall weed control technicians keep up-to-date on cutting-edge methods for how to get rid of weeds in fall. Our Austin weed control experts always use safe, low-toxicity sprays and herbicides to keep your pets and family safe, while reducing your carbon footprint. Whether you choose an annual broadleaf weed control package or simply need a one-time weed management solution, our weed control team will take care of all your fall weed problems effectively, efficiently, safely, and affordably. Don’t allow fall broadleaf annual weeds to become the “gift” that keeps on giving—treat yourself to a beautiful lawn this autumn, and let Magic Pest and Lawn’s broadleaf weed control services do the tough work for you! Contact our fall lawn care professionals today so you can spend more time playing and less time spraying your Austin lawns and gardens!